The Dhol Sadiya bridge between Assam and eastern parts of Arunachal Pradesh. 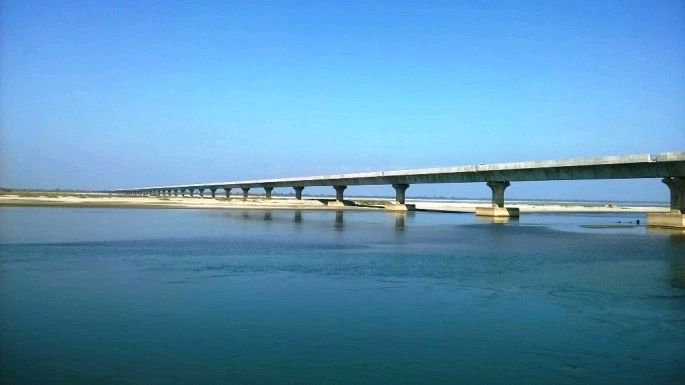 Factually India's longest bridge. Lohit river is one of the tributaries of Brahmaputra river. The bridge connect Dhola village to the town of Sadiya. The bridge has been constructed under the Arunachal Pradesh Package of roads and highways.